Win, lose or draw, Alisson Becker always makes the phone call. In this sense, the result is immaterial. Without fail, the Liverpool and Brazil goalkeeper will conduct a post-match debrief with the man he considers his ‘great idol in football’. Muriel Becker is Alisson’s older brother and, in line with a generational thread that runs through the family, also a goalkeeper. Five-and-a-half years Alisson’s senior, Muriel now represents Belenenses in Portugal’s top flight, having previously spent a decade playing in his homeland. There is professional substance, then, to this fraternal support network. “If I’m not playing at the same time as him, I watch his games,” Alisson, overlooking an autumnal Anfield from up high in the Main Stand, tells Liverpoolfc.com. “He calls me after the games to talk through what happened - and vice-versa, after my games I call him and ask him what he thought of that play, that sequence, that event, whether I could’ve done anything differently. Learning from Muriel: an ongoing process that started a long time ago. With a nod to the benefit of hindsight, that Alisson would become a goalkeeper was, it seems now, something of a fait accompli. After all, in his words, the craft is ‘in my blood’. “I have a family of goalkeepers,” the 26-year-old explains. “My father played for his work team, my mother played handball in school, and my grandfather played in amateur football. And after all this, came my brother playing and then I started to like it, too. A street in Novo Hamburgo, the city in southern Brazil the Beckers call home, is where that passion grew; where Alisson’s nascent skills were - somewhat unceremoniously, it turns out - honed. “What comes into my mind when I think about my old times is when I played with my uncles and my cousins,” begins the carefully considered response to a question regarding his earliest memory of goalkeeping. “We always met and played together in front of my house. Sometimes I’d be the goalie and sometimes the striker but almost always I went in goal - and then my uncles would be shooting the ball at me like they were in training! By his own admission, Alisson was different. He was nine when Brazil won the 2002 World Cup, but while the imaginations of his peers were captured by the likes of Ronaldo, Rivaldo and Ronaldinho, his wasn’t. Legends that trio may be - but goalkeepers they are not. “My great idol in soccer is my brother. I grew up watching him training, playing, but I always liked [Gianluigi] Buffon and Taffarel too,” Alisson says. “They are, for me, the best goalkeepers in the world of all-time. 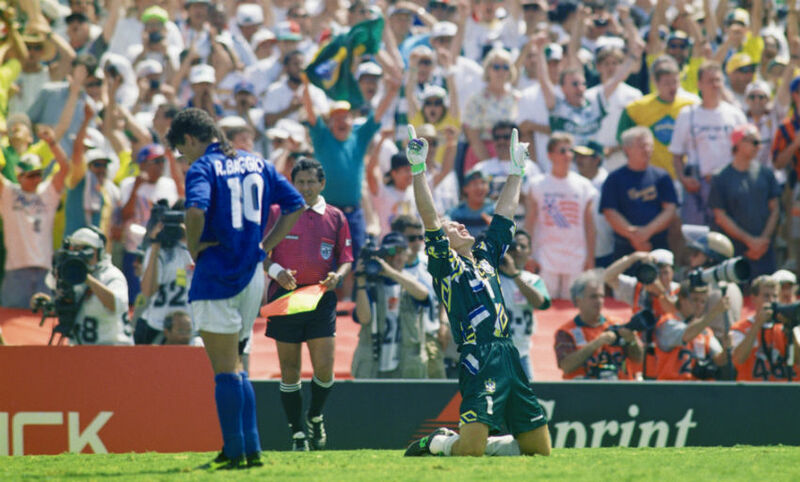 Like a good Brazilian, I grew up listening to my father talk about Taffarel, about what he did in the World Cup in ’94. So as his childhood friends mimicked Ronaldo et al, he was the group’s self-designated goalkeeper? Soon enough, Alisson realised how far what he was best at could take him. “I started competing at 10 years old - at that age I knew I wanted to be a goalkeeper,” he recalls. “At that time you don’t know if you’re going to make it or not. You have the dream of making it, but the competition is fierce in Brazil as there are a lot of high-quality young players. “I started believing that this would be my profession when I signed my first pro contract at 16 years old. That’s when it sank in that I would be a professional goalkeeper. “But it’s never been a hobby for me, I’ve never considered it to be a hobby. I’ve always taken it really seriously, as my dream. A decade on from joining the academy of Internacional, one of nearby Porto Alegre’s two major clubs, Alisson was ready. Ready, at the age of 20, to make his senior professional debut. Ready to begin a journey that would eventually see him succeed Internacional’s first-choice goalkeeper. Did competing with his brother cause familial friction? A pause before the thoughtful, in-depth answer. 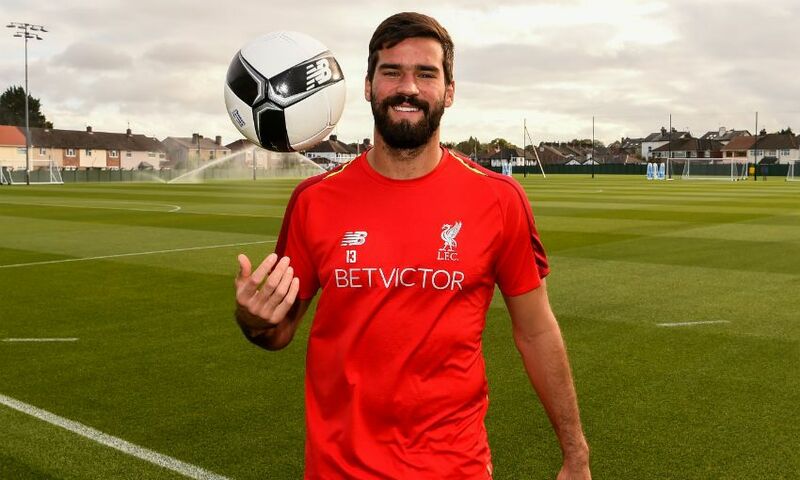 “It was one of the best years of my life as a professional to be able to share the profession with my brother and work with him on a daily basis,” Alisson asserts. “I learned a lot from him and I believe everything I have achieved in football, I owe to him. For the teachings, the advice. He’s always been a great motivator for me. “At first I didn’t believe I’d ever be competing for the No.1 shirt with him because at the time I was fourth choice and he was first choice. I always thought he would be transferred to Europe, continue with his career here and I’d be making my own way. “But it didn’t work out that way - he remained there and continued playing, continued playing well. Due to an injury to Muriel, I had the opportunity to get on the pitch. I played 10 games in a row while he was out, I was playing well when he returned and I was first choice for two games. “I got injured in the second game and he returned to being first choice. The next season, it started all over again. Due to another injury to Muriel and the other ‘keeper Dida, who used to play for Milan and the national team, being sent off, I came on. “I came in for the suspended Dida and the coach kept me as first choice, my brother was out for three months and didn’t come back until the following season. “So everything happened very naturally. We have a very close relationship. We’re not only brothers, we’re close friends, so given this family relationship we have, coming from a close, tight-knit family, there was never any rivalry between us. From there, the trajectory of Alisson’s career has never veered away from a steep upward curve. But his status as first-choice goalkeeper for Liverpool and Brazil doesn’t mean he’s above critique from Muriel. “Definitely not, definitely not!” he laughs. No longer teammates, no longer competitors.